And this is important, because the regular Lamborghini Huracán, the LP610-4, is a fine car but one whose balance is – how to put it? – dictated a little too much by its nose. It understeers quite a lot because Lamborghini wanted it to be a fairly straightforward car to drive. Leave it to Karl Lagerfeld to combine those familiar phrases with cinematic roots in order to create fashion fireworks for Chanel -and at a tender moment for the French capital, still shrouded in grief and gripped with heightened security following the Nov. 13 terror attacks. Before the world’s biggest consumer gadget show has even begun, manufacturers are vying for position as the next cool thing at a preview event called CES Unveiled. At the Las Vegas event there were exquisitely designed objects from France; next-generation gear for music nerds; DIY virtual reality kits and much, much more. Wake up and smell the croissants! You can’t get more French than this. 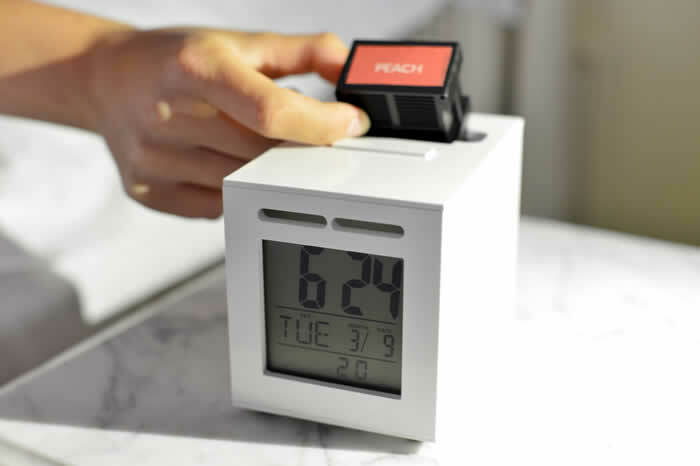 Instead of blasting your ears with some god-awful alarm every morning, this alarm clock invented by a talented 19-year-old Frenchman wakes you with smells. Simply pop a scent canister into the clock before you go to bed — kind of like putting a coffee pod into a machine — and the pungent smell will arouse your senses in the morning. Creator Guillaume Rolland says the only time it won’t work is if you have a blocked nose, in which case there is a back-up. If you don’t press the button on the clock within three minutes to let it know you’re awake, it will start playing music. Working in partnership with a French perfumier, the initial seven scents are croissant, espresso, seaside, lush jungle, chocolate, peppermint and — exclusively for the project’s Kickstarter backers — the smell of money. Each pod last for 30 alarms, or about a month. Pre-orders are available now at $US109 for the clock with a free capsule, while a pack of two capsules is $10. First shipping is scheduled for May. 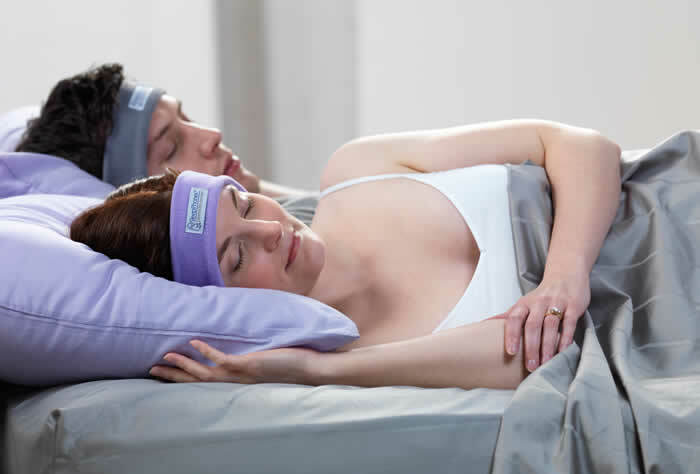 SleepPhones is simple but great: a fleecy headband with headphones inside that fits snugly round your head so you can fall asleep to music. Manufacturer Acoustic Sheep has a few different models, including the basic at $US39.95 which has a headphone jack and inbuilt snoozy music that fades to peace and quiet as you fall asleep; and a Bluetooth version for $US99.95 through which you can stream your own music. The battery lasts 13 hours and is rechargeable by pulling the module out of the fleecy band and plugging it into power, or leaving it in the band and using wireless charging. This “context aware” music player knows who is in the room and what they’re up to — and will populate playlists accordingly. It works by connecting to your music streaming service of choice and scanning your playlists to learn what you and other people love. It knows when you or another member of the household is in the room by detecting your mobile devices, and then plays music that it knows everyone will appreciate. Prizm also reads the mood of the room — whether it’s a quiet evening, or a party with friends — and will change the vibe of the music accordingly. 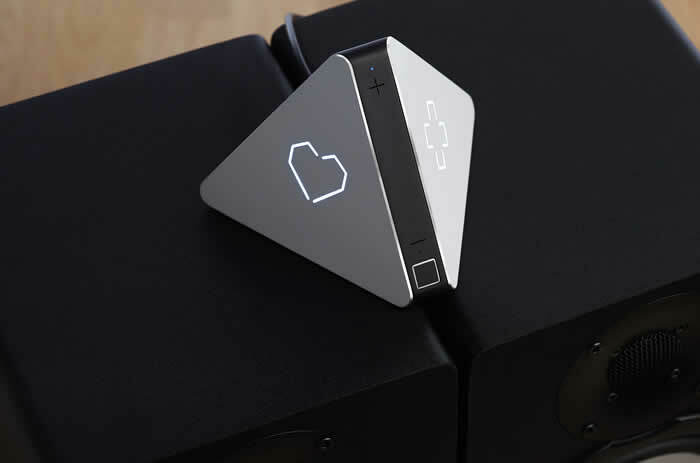 It’s designed to bypass your smartphone and streaming service to become your personal DJ. You can “like” songs just as with a streaming service by pressing the heart button on the device. At $US149, Prizm will start shipping to its Kickstarter backers, and also be available for general purchase online, in February. French design smarts meet tech know-how with these exquisite computer accessories made from natural materials including wood, marble, leather and copper. The $US190 keyboard has the satisfying clack of an old-school typewriter yet is as smooth as a MacBook Air. A trackpad is sold separately for the same price. They work with both Mac and Windows and connect via Bluetooth. Also in the range is a wireless charge called Pebble, available in wood or marble, starting at $US160. It triples as a speakerphone and paperweight. 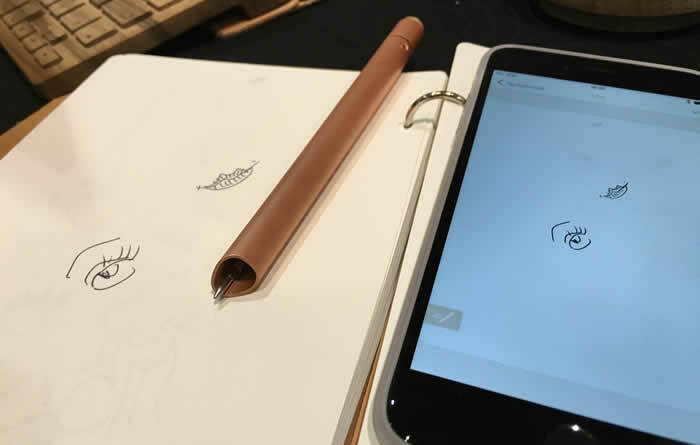 The newest in the range (and most expensive at $US420, thanks to more elaborate tech smarts) is the Stylograph: a pack which includes a copper-coated, smart ballpoint pen; a leather-coated journal; and special paper, of which you can buy refills. The kit together will store every mark you make in the pen, and you can upload it to your digital device afterwards. 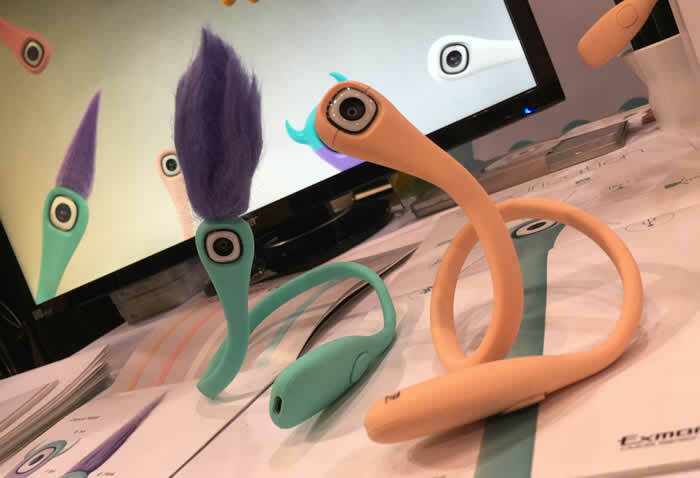 These absurdly cute bendable cameras look like the love child of a troll doll and a Minion. You can wrap them around anything you want to capture compelling footage — your ankle while you skate, your bike handlebar while you ride, your windscreen wipers while you drive. Pic shoots video in 1080p high-definition with an 8MP camera, and can store 16GB of data. Files are transferred via USB and you can check battery power or take remote shots via the mobile app. While Pic is portable and flexible, the battery only lasts for an hour when filming video. Available online from February. From the people who brought us The Ring, one of the standout gadgets at CES 2015, ili is like the long sought-after Babel Fish from the Hitchhiker’s Guide to the Galaxy. 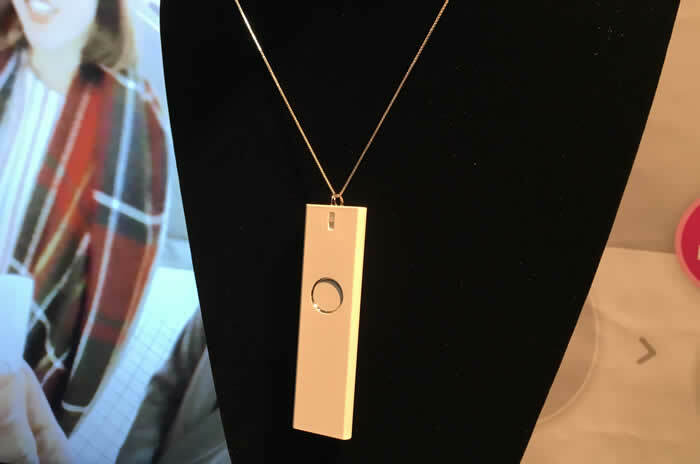 Though its design is simple — a small, white rectangular pendant with a button — it translates languages in real time with voice activation. ili is not some magical version of Google Translate in a box; you’ll need to buy a different device for each language. But the upside is it works without being connected to the internet, as all the smarts are stored inside. Not available to the public just yet, ili is reaching out to partners in the travel industry to ship its first product, which will be available in English, Japanese and Chinese. French, Thai and Korean are coming soon, followed by Spanish, Italian and Arabic. Billed by maker ProDrone as the world’s first quadcopter portable drone, the Byrd can operate and lift a mirrorless camera or DSLR weighing up to 2kg. 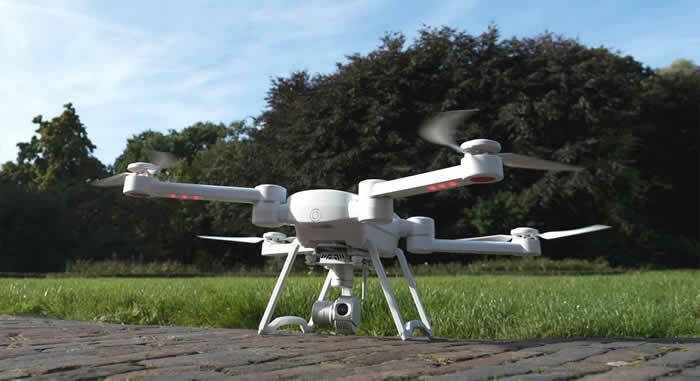 “All you have to do is buy one drone and you can have 20-30 cameras that you can use with it … everybody from your average Joe to the high-level photographer,” says ProDrone’s Nicolai Wiles. You can collapse the propellers on the rugged and slick-styled quadcopter so it’s small enough to carry around in a backpack. Byrd is available for preorder now.